This exhibition is great fun, as close to pure visual pleasure as I’ve had in a gallery for years. 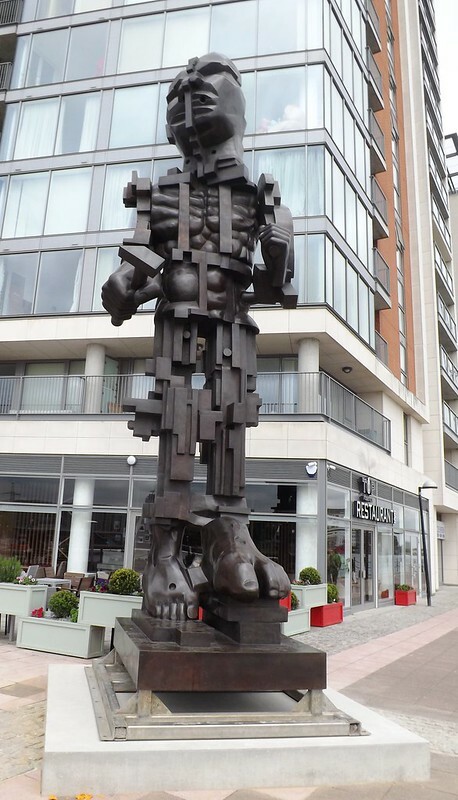 Sir Eduardo Paolozzi (1924-2005) was born the son of Italian immigrants in Leith, outside Edinburgh, making him two times over an outsider to the posh world of English art. 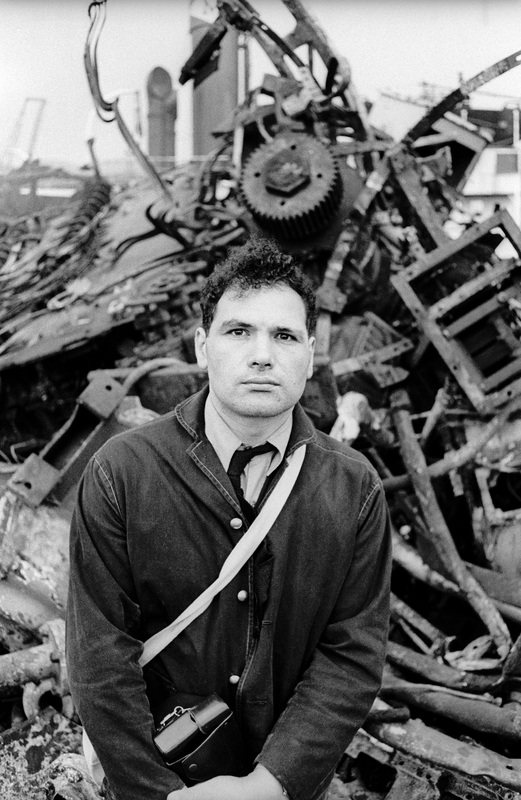 Young Ed served in his parents’ ice cream shop as a lad, surrounded by glossy advertising and packaging for the new consumer products which were sweeping into ‘Austerity Britain’ from the States, along with a tidal wave of comics and magazines and new colour movies. No surprise, then, that, after he’d gone to art school and got Picasso out of his system, he first made a real impact with a lecture given at the Institute for Contemporary Arts titled Bunk! and which consisted of a slide show of 40 or so collages featuring images cut out from pulp science fiction magazines, girly magazines, science and engineering books, newspapers and so on. It is, apparently, referred to as ‘the opening salvo of Pop Art’. 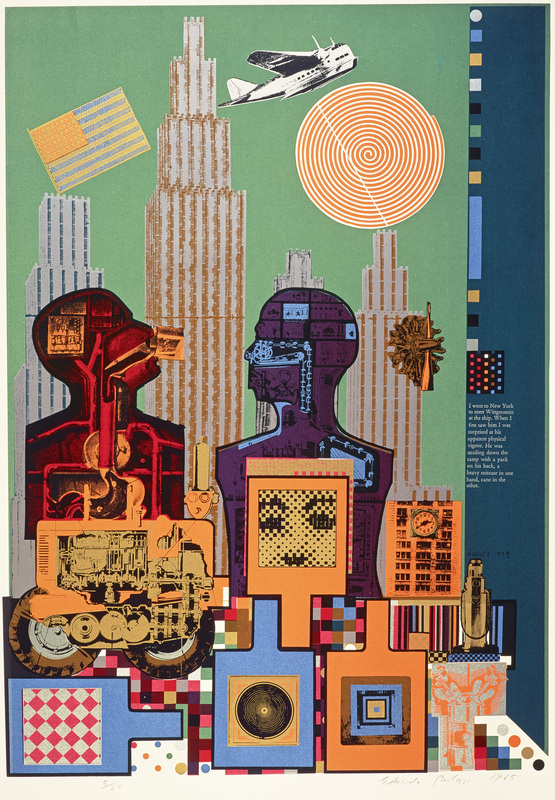 In the 1960s Paolozzi got interested in print making, the major result of which is the sequence of colourful large collage prints titled As is when (1965). There are eight or so examples here and I could happily live with any of them on my wall – happy, bright, fun, with an intrinsic and immediately understandable sense of design. 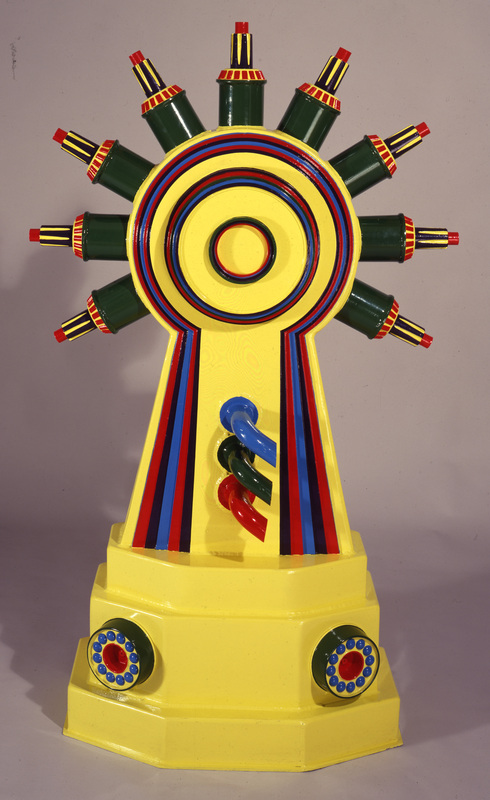 What links the collages and sculptures is Paolozzi’s interest in the spare change of engineering, nuts and bolts and screws and cogs and wheels and jets and wings and so on. 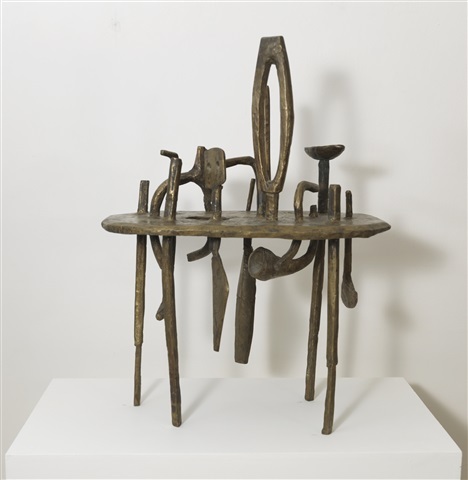 These came more to the fore in his sculptures of the 1950s and won him his first real fame when displayed at the Venice Biennale. 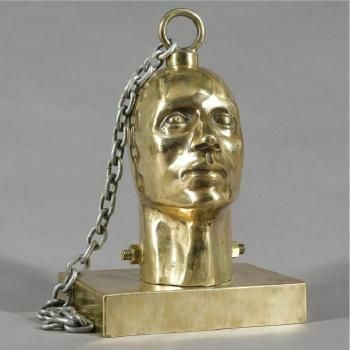 The 1960s saw a major shift in his sculptures towards happy shiny pieces made of the funky new material of aluminium or even out of polished chrome e.g. Silk. There’s a display case of these shiny objects, strange combinations of geometric shapes which have somehow melted. But his heart is still with knobbly would-be machinery, albeit with a Summer of Love psychedelic style. One of the most famous works from this period could be straight out of the Beatles cartoon Yellow Submarine (1968). 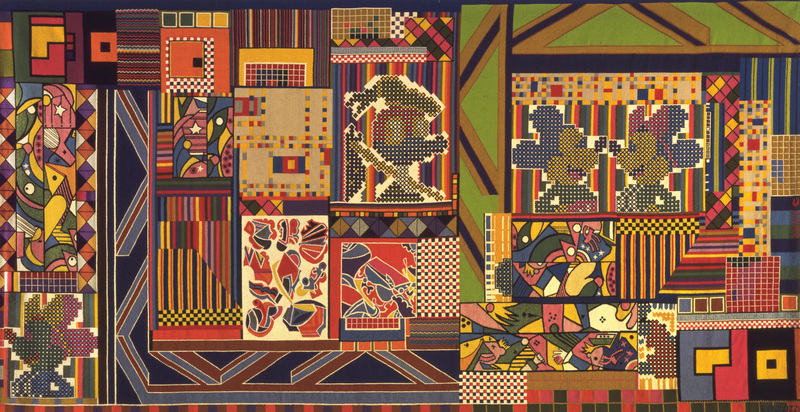 As early as 1954 Paolozzi set up a design company to create home furnishings from wallpaper and fabrics to ceramics. 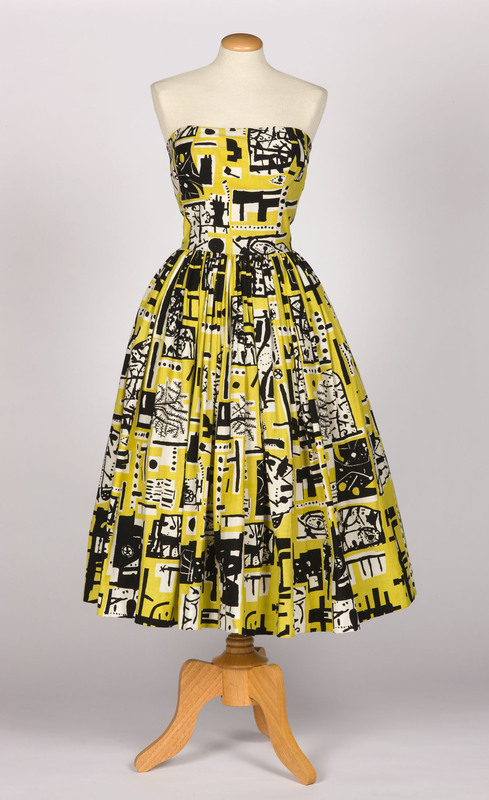 Examples of these, in particular a set of dresses he designed in different decades, is included in the exhibition, but didn’t have the same dynamic effect on me as either the sculptures or prints. Revolutionary at the time was the incorporation of his brand of abstract designs into the very traditional medium of tapestry. The most famous work in this area is the four-metre wide Whitworth Tapestry (1967). Apparently Paolozzi disliked the creeping engulfment of art by theory and curator-speak, and a room here is devoted to works which take the mickey out of the art world. These include a block of fake gold ingots made of aluminium and printed with the phrase ‘100% F*ART’. The experimental portfolio General Dynamic F.U.N. consists of printed sheets of random text, abstract patterns and images designed to be rearranged and read by readers in infinite combinations. Maybe. But as hung on the walls of a gallery, the individual sheets look very much like more collages of comic and consumer magazine images from the 1950s. More striking was a set of large prints of his characteristic engineer/machine imagery titled Calcium Light Nights (1974-6) presumably because they all have a more washed out, pastel colouring than earlier prints. The last rooms feature two very distinct but stylistically related types of output. 1. 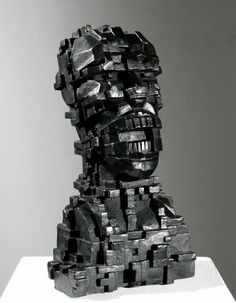 He found a new way of configuring the human body and head, basically taking a salami slicer to the human figure and sliding disconcerting sections of it forwards or back to create a strange angular vision of the human body, perfectly in keeping with his lifelong interest in science fiction and technology. 2. 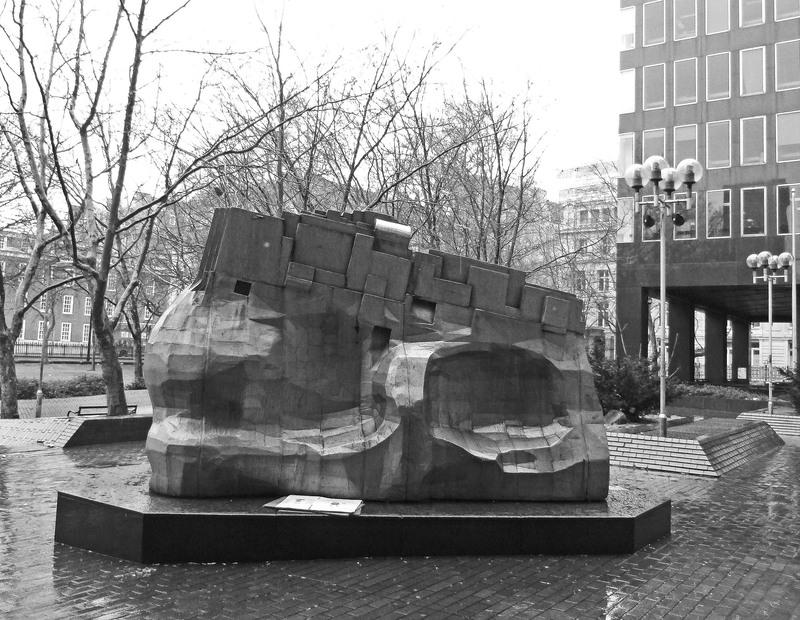 Through the 1980s and into the 1990s Paolozzi took on a number of commissions for large sculptures in public places. 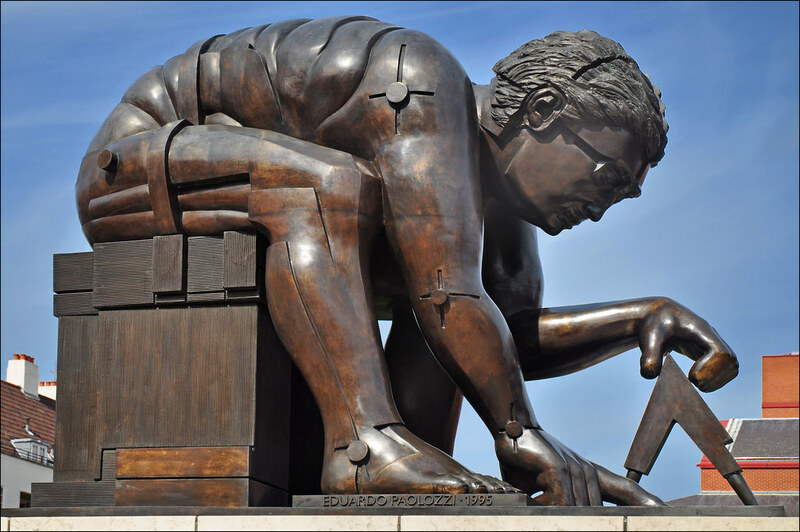 Some of these incorporate the salami sliced heads and bodies like the figure of Isaac Newton in the British Library or the Vulcan in Docklands; others are large castings of the kinds of intricate faux-mechanical friezes he liked throughout his career, like the cooling tower at Pimlico; others are purely abstract like the recently restored mosaics which cover the entrance hall, walls and walkways of Tottenham Court Tube station. 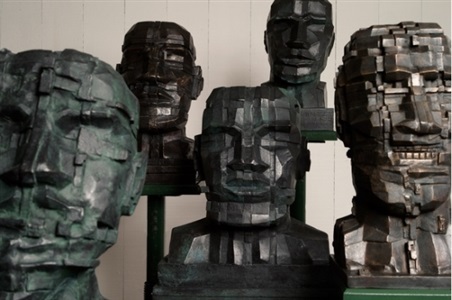 Bringing together an astonishing 250 works from collections around the world and spanning Paolozzi’s five decades of dynamic and varied work, this is a lovely, happy, creative and inspiring exhibition. For once it is entirely appropriate that the gallery shop has lots of merchandise carrying Paolozzi imagery – I particularly liked the tea-towel with one of the As is when print designs on it. 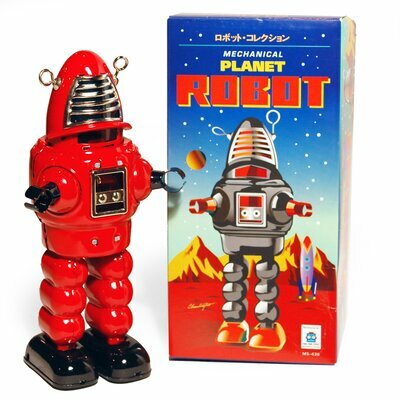 But also that it’s selling fabulous Robbie the Robot toys. What fun!